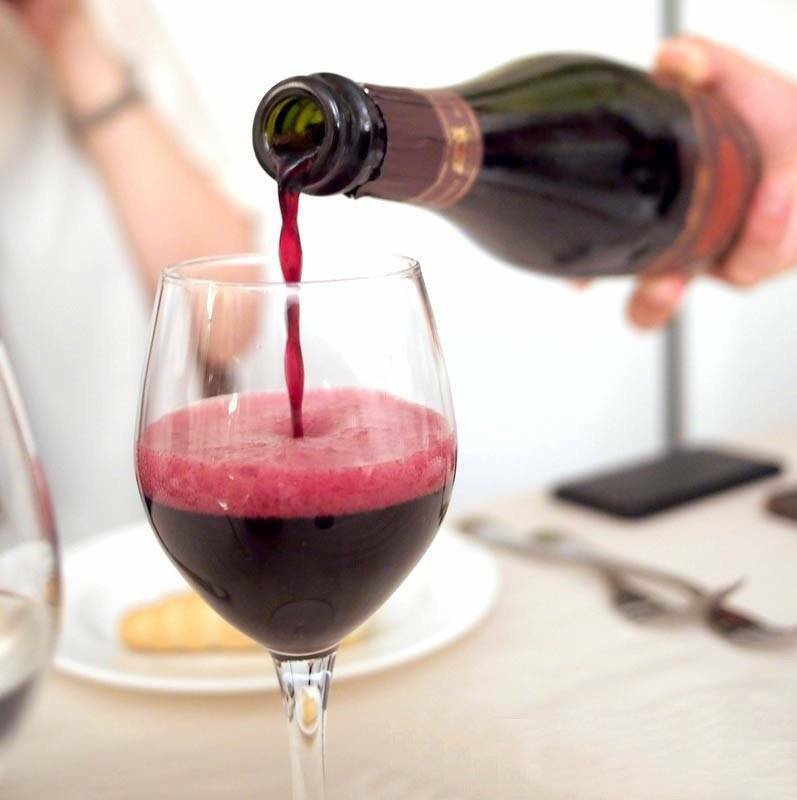 It can be somewhat difficult to convince people to consider serious Lambrusco for their dining options when all they've encountered until now are cheap mass-market versions. While Riunite was the number one imported wine in the 70s, much like platform shoes, 8 Track tapes, string art and the Gremlin, some things are best left in that decade. Quite a shame that, seeing as there are plenty of wonderful wines, bone-dry to sweet, that are rather brilliant with food, and insanely fun to just sip on. It can be somewhat difficult to convince people to consider serious Lambrusco for their dining options when all they've encountered until now are cheap mass-market versions. While Riunite was the number one imported wine in the 70s, much like platform shoes, 8 Track tapes, string art and the Gremlin, some things are best left in that decade. Quite a shame that, seeing as there are plenty of wonderful wines, bone-dry to sweet, that are rather brilliant with food, and insanely fun to just sip on. Lambrusco comes from Emilia-Romagna in north-central Italy, the land of lusciously rich Balsamic vinegar, sweet, tender Prosciutto and the king of hard cheeses, Parmigiano-Reggiano, so it makes perfect sense that the friendly juiciness of Lambrusco goes so screamingly good with an array of salty foods. I’ve been a Lambrusco nerd for a few years now so I can attest to the fact that these wines are delicious with everything from dim-sum to fried chicken. Top that off with the fact that they are slightly bubbly, served chilled, and cost less than $20.00, well not sure what about any of that there is not to love. This tart and sturdy Lambrusco is a million miles away from your grandma’s Riunite. No, this is the real deal. The brilliant food seeking wine that the Italians kept for themselves for so long. Here you find a ruddy pink color and aromatics of wild strawberry and cranberry with a slight herbaceous note. Nice and fizzy with just a kiss of bite from slight tannin which makes it a perfect palate reset. Such a beautiful pale raspberry color here. This slightly fizzy and hazy wine has notes of rhubarb, apple skin, wild berry and just a kiss of lemony herbs. Fairly filling on the palate but still a wonderfully rose like bubbly in its freshness. Wants salty meats. Deep, dark, brooding purple color. Impossible to see through and with a nose that screams of dry red wine. Some herbs, dark coco, cracked pepper and black fruits. Nice and rich on the palate, dry red wine without question but the lift from the tiny bead of bubbles and tangy fruit keep it from being heavy. The term Amabile means off dry in Lambrusco terms, so these wines have a kiss of sweetness to them which make them brilliant with spicy or highly-flavored foods. I also love it with crispy duck at dim sum, just something about the sticky, crunchy, lacquered salty skin with the juicy, almost pomegranate like flavors in this Amabile, just perfection. Dark color, nice and silky in the mouth with a sweet-tart thing that keeps you coming back for a second and third sip. This is by far the inkiest and sweetest of all our Lambrusco. Not dessert wine sweet mind you, but it would be great with an assorted cheese plate. Nearly black in color with a deep purple rim. Cooked black cherries, plums and a hint of spice. Curvy but still quite bright on the finish. Picnic wine! Being an Amabile there is just the tiniest hint of sweetness here, much like a pomegranate. That sweet and then tart sensation. We’ve stocked this Lambrusco for several years now and it has always been a customer favorite. Light, faintly sweet, airy textured while still feeling like a red wine. Perfectly balanced and just begging for cured meat, spicy foods and cheeses.